Honour the Vice President Madam Inonge Wina this morning despatched off medical supplies to cyclone hit countries – Malawi, Mozambique and Zimbabwe. 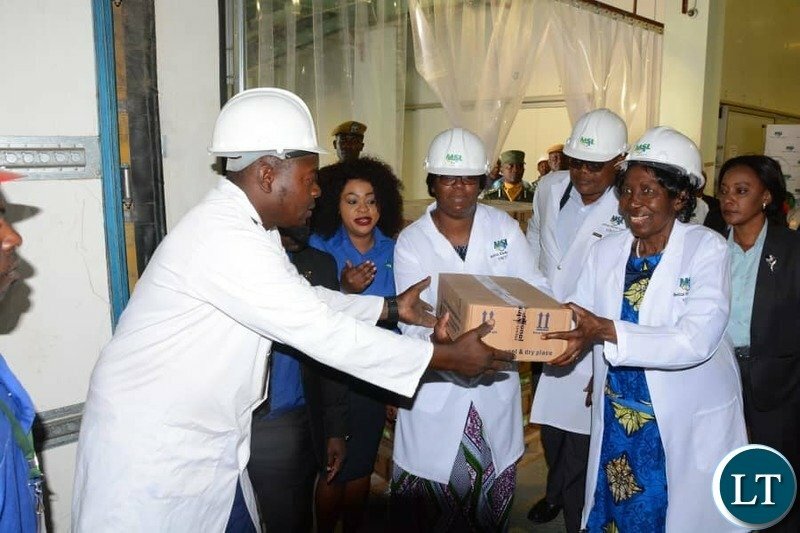 Vice President Inonge Wina has received donations of assorted medical supplies worth 403,405 United States Dollars from the Ministry of Health towards the cyclone Idai affected communities of Malawi, Mozambique and Zimbabwe. Mrs. Wina said the supplies will help in mitigating the health challenges being faced by the people as a result of disruption in the delivery of health services by the disaster. She stated that the disruption of normalcy resulting from the disaster has significantly affected the provision of critical services such as health. She added that the donation will therefore go a long way in reducing the burden of providing medical services to the affected communities. The Vice President further explained that the Ministry of Health have taken precautions to ascertain how much of the supplies will go to the three affected countries and how much remains so that the country does not run out of medical supplies to support the people. 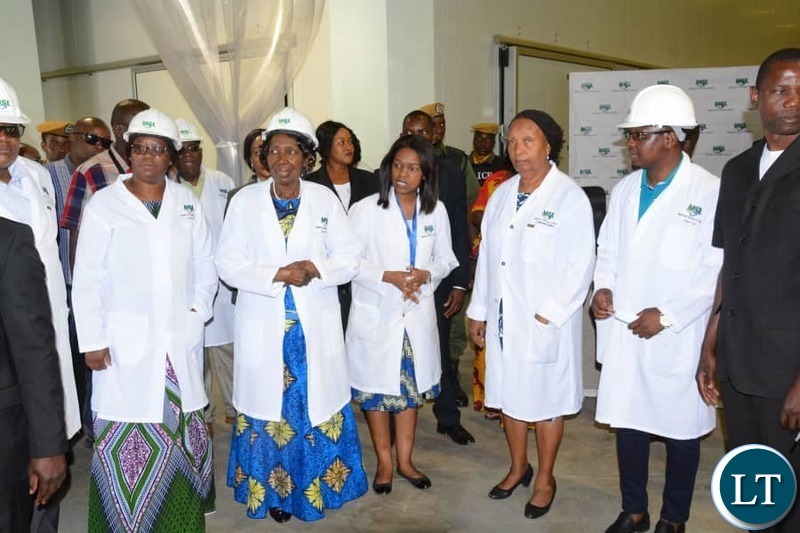 She said the local people should not be alarmed that government is sending such large quantities of supplies out at the expense of the Zambians. Mrs. Wina said President Lungu categorically said as a country which is part of SADC should respond to the needs of its neighbours. The donation was made yesterday at Medical Stores warehouse in Lusaka. It is good to help neighbours in time of need. Surprising that the Ministry of Health can mobilize such kind of resources at short notice. You are surprised? It’s because you carry a warped perception about the govt. I like Bo Inonge, so so very much. And forgave her for appointing Edgar and instruct him to give instruments of power to Guy Scott. Only God knows why these fooools are wearing helmets and white coats…donating when you yourself have no medicine. My advise to people receiving this is to be careful with Chilufya’s medicine its expired most of the time! This is a good gesture. But how come the govt can raise such suppliers when there are many health facilities within Zambia that have lack such medical suppliers. It will be useful to appraise yourself with the mandate and operations of Medical Stores, Sir. Ba Edgar want to dissolve Kabwe, because they don’t work, including clinic, some clinics. Ka Mushanga visited Chibombo district and found boxes and boxes of medical supplies not used. Including; cleaning materials, disinfectors, bandages, groves, condoms etc most of them passing expiring dates. Because Zambians bakaso, they don’t like to give stuff to poor people. Unless exchange with kwacha. Some $400,000 its a good donation but maybe a richer Zambia could’ve donated $800,000 if there was no corruption and mismanagement of GRZ funds. Does the $42m firetrucks come to mind? The Ministry of Health needs to show this good Gesture also by “donating” many rural health centres within Rural Zambia where they don’t even know how a syringe looks like. These donations came from the heart of medical stores. Those medical institutions that have no medicines you must query the medical superintendent. Donating medicines that were donated to Zambia is laughable. Whereas I don’t disagree with the gesture, but we should be careful the way we portray ourselves. Zambia has lamentably failed to provide healthy services to many of our hospitals. Our rural people can’t even remember when they last received drugs in their healthy centers. Kulibonesha can be bad. Let the donors assist, Zambia has no capacity. This is not a one time problem our friends are witnessing, it will take more than three years before they can come back on their feet. Zambia should have sent soldiers to help pick up the corpses and use the $$$ to help poor Zambians. The real story is there is no $400,000 donation. Its just a hoax of one box shown in the picture. If anyone wants proof let GRZ put a list of donated stuff here. 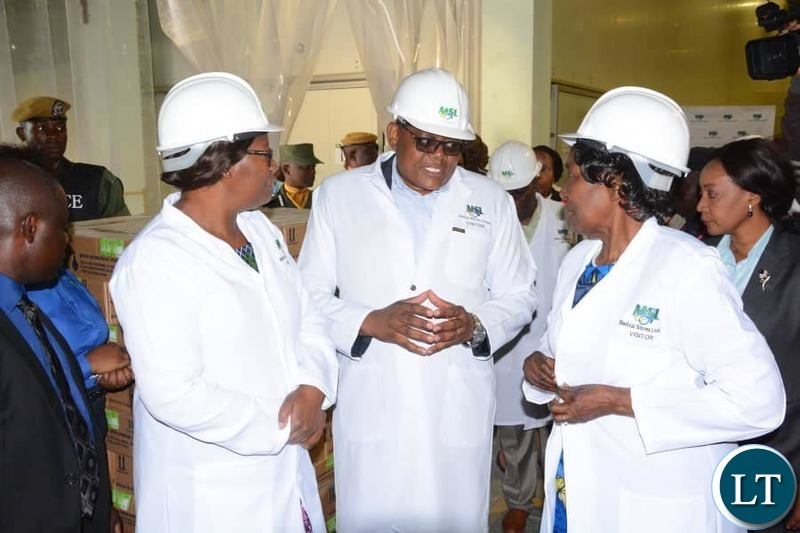 The total in money terms wont come to K5,000, 000 worth of medical supplies, unless those consumables have approached expiry and idai has given GRZ a good opportunity to create room in the shelters. THERE IS SOMETHING FISHY ABOUT THIS DONATION, WHEN, WHERE, WHO IS INVOLVED, WHAT ARE THEY DONATING, HOW DID THEY ARRIVE AT $400,000. SMELLS LIKE A COVER-UP, WATCH THIS SPACE! Ka US$400,000 DONATION from a country is news hmm..please this is change for most of US in diaspora and u make it NEWS ? @ANYOKO Visit UTH and other health facilities before you excessively boast about your so called Ka change.